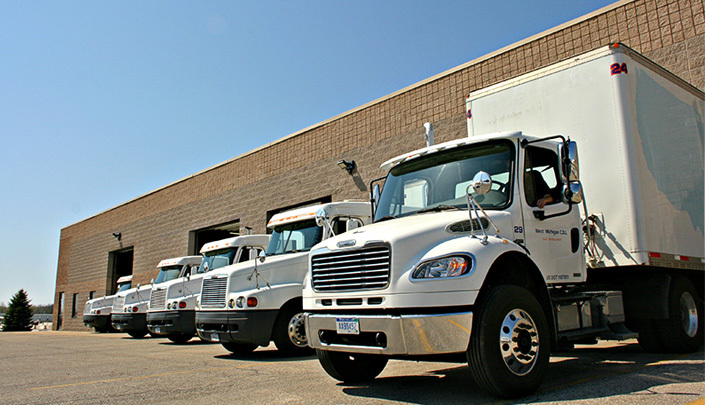 West Michigan CDL is known for offering the greatest CDL training classes in Michigan. If you want to attend a CDL license school it’s important to choose the ideal CDL school. Come to our CDL license school and receive CDL training with the best curriculum. WMCDL will place you in small CDL classes where you will receive the one on one instruction that you deserve. Choose WMCDL as your CDL license school and receive a quality education at a reasonable price. WMCDL provides students with the most behind the wheel experience along with the most comprehensive CDL classes. Howard City, Michigan is a city in Montcalm County and is about 35 miles north of Grand Rapids. Currently, Howard City has a population of 1,808 and is home to a variety of businesses. The knowledgeable CDL training instructors will give you insight on how to handle stressful situations. Get a high-quality education for a sensible price at WMCDL. Our CDL license school offers you job placement options so that you can ensure your investment pays off. At WMCDL you will receive CDL training from an experienced teacher along with specialized equipment to ensure you get put on the path of success. If you are interested in attending our CDL school, then contact WMCDL to get started! Don’t wait any longer to get the CDL training that will improve your future. Call West Michigan CDL today at (888) 550-4947 to ask about our CDL classes!